Havana (AFP) – Colombia’s ELN rebels demanded government guarantees Monday that their peace delegation could return to the country from Cuba within 15 days due to the failure of talks, after a bombing killed 20 people in Bogota. “We are hoping the government will give us guarantees for the return” of the 10-man delegation,” their chief negotiator Pablo Beltran told AFP in an exclusive interview. “No one can demand we sit on our hands if we’re under attack,” Beltran said. Beltran insisted that neither the guerrillas’ central committee nor the delegation that has been in Havana since May were informed of plans for the attack in Bogota ahead of time. “We didn’t know, of course. We’ve been in Cuba for eight months. The plans of our fronts in Colombia don’t depend on us,” he said. However, the delegation leader denied that the bombing — which sparked nationwide protests — was the making of a dissident splinter group opposed to the peace negotiations. “The ELN has completely respected on all fronts the agreements that we have signed here,” Beltran said. “But since (President Ivan) Duque’s government has taken over, we have been attacked a lot and that makes us want to stop waiting” for the other side,” he added. The attack was a major setback to two years of peace talks with the ELN — first hosted by Ecuador and subsequently by Cuba. They failed to go beyond the exploratory stage before stalling when the right-wing Duque took power in August. 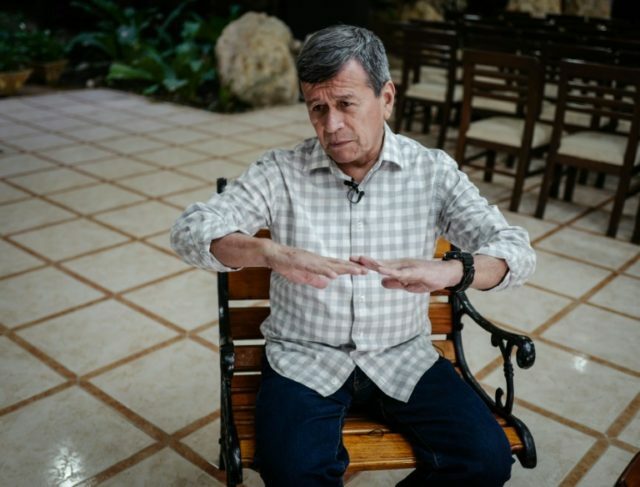 On Friday, Duque suspended the peace negotiations with the ELN — which had already been halted for several months — by putting back into force arrest warrants targeting the rebels’ negotiators. Cuba, the seat and guarantor of the peace talks, has condemned the bombing and indicated it would make sure protocol is followed should the talks be called off for good — by allowing the delegation to return to Colombia within 15 days, in this case February 2. The car bombing was the deadliest attack with explosives in Bogota since 2003 as the country struggles to emerge from more than half a century of armed conflict.